Kootenay Goaltending provides hockey goalie coaching, goalie workouts, goalie drills, goalie power skating and other types of training. Goalies who attend CVHS get the opportunity to work with high quality goalie coaches throughout each camp. 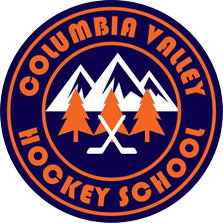 Want to know more about Kootenay Goaltending Camps? Nathan Lieuwen offers Hockey Goalie Training across Cranbrook, Kimberley, Fernie, Invermere, Creston, Sparwood.